Less fluff and more actionable stuff, this is the goal of the Art of Active Trend Trading—Trader’s Report. Each edition will highlight potential trade set-ups for both capital growth and income generation. If there is ever a question about a potential set-up email me at dww@activetrendtrading.com and get clarification! General Market Observation: The Indexes continue their back and forth movement between resistance and support this past week. This is the sixth week with no real headway either down or up. 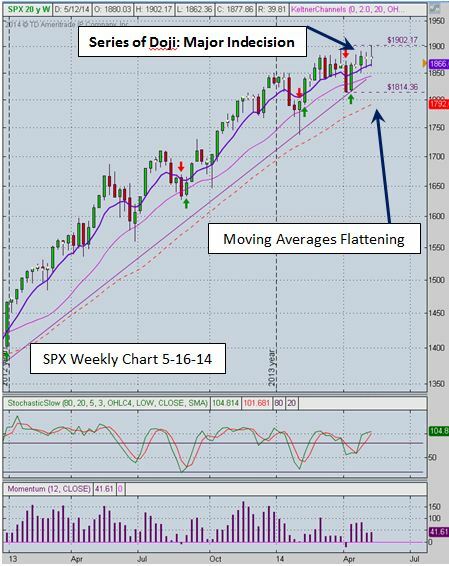 The positive for the market is that support held and it appears that we may be moving into next week primed for a bounce. The negative for Bulls is that resistance levels on the Nasdaq and Russell continue to move lower. If there is a bounce up, look for a reversal at resistance. The SPX and DOW continue to be stronger than either the Nasdaq or Russell, but indecisive. The question we continue to pose is will the SPX hold up long enough for the Nasdaq to turn around, or will the weakness in the Nasdaq lead to the fall of the SPX? The weekly charts on both the SPX and COMP are provided this week. Both indexes finished with a Doji Candle pattern which reflects indecision for both indexes. 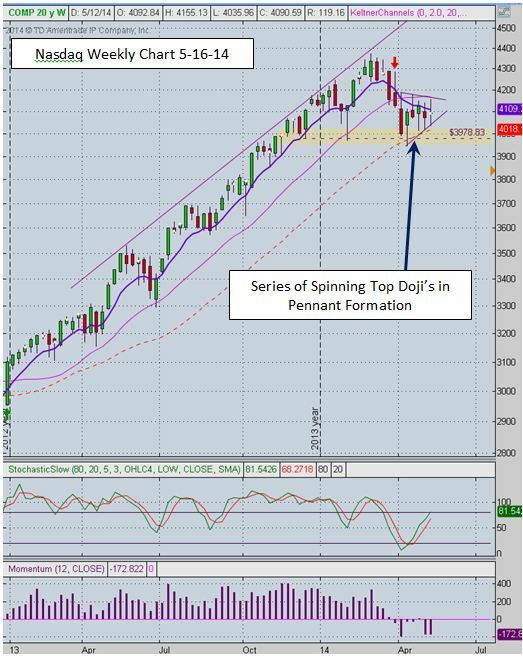 On both Indexes there have been multiple Doji’s over the past few weeks, which show that the indecision is heightened even more and of great significance. 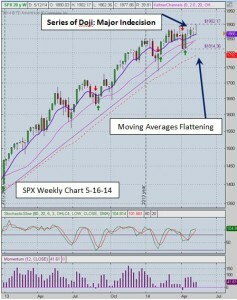 Notice how the slopes of the weekly moving averages on the SPX are flattening. Add to this the historical fact that the market tends to not perform well during the late spring and summer months, we may see some additional downside or a continuation of this sideways purgatory. 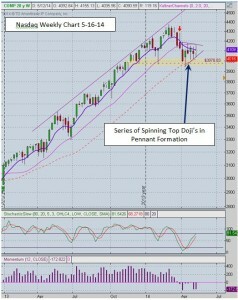 The Nasdaq chart also shows the formation of a Pennant pattern. A confirmed break in either direction should result in a move the next level of resistance of support. Upside Target: 4370ish and Downside Target: 3650ish. Our Game Plan for the Index ETFs this week: Wait for support and resistance bounces, set up Income Generating trades on TNA using Weekly Options. Income Generating Trades: With the markets in correction breakouts have been few, and the breakouts that have happened have been muted. At the same time, there has been little sell-off conviction so shorting hasn’t worked to well lately. With this rapid bouncing between support and resistance, the market can act like a meat grinder is the wrong strategy is selected. Until the market chooses a direction with conviction, we are focusing on short term Income Generating Trades. These include either going long at support or going short at resistance. Stocks off of the Running List with Weekly Options will be used and trades will typically be held for no more than 2-4 days. The Income Generating Trade on Visa this past week worked well generating $744 in weekly income. My objective each week is to generate $1000 in income using short term strategies with Active Trend Trading Triggers. Alerts for Income Generating setups will be part of the Premium subscription starting in June. Outs & Ins: Look who’s back on the IBD 50 list—AAPL just before it splits 7:1 go figure. I seemed to remember somewhere reading about being careful with stocks that have huge splits like this. Other making their debut includes UNP and MNST. Right now with the market bouncing back and forth between support and resistance few growth stock breakouts have been working, so while there are short term trades available, unless one has the experience to work with conditional orders it’s a good time to just watch for the stocks holding up well during this market malaise. Look for stocks holding above the 50 day SMA and those living below the 50 and be patient. At some point the market will get back in synch to the upside or to the downside. 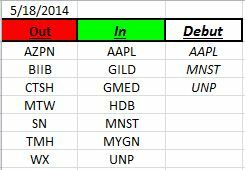 Right now few growth stocks are in favor, so choose wisely based on technicals. Comments and opinions written below this line of text may be provocative and only obliquely related to trading. 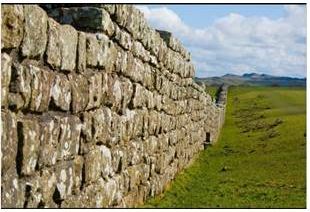 Some may find these “Off the Wall” comments challenging to their outlook on life. I will not post any comments made on subject matter below this line to the group, so if you disagree blast away. Off the Wall: What the heck does “New Normal” mean? It seems that many things are being redefined as the “New Normal”. Is the “New Normal” good or bad? The answer to that question is probably, Yes! I remember as a kid of nine or ten, I marveled when certain laws that were too hard to either enforce or live by, were often changed. So what was illegal became legal, and those who were lawbreakers yesterday were now law abiding citizens today. So with the change of the law a “New Normal” was established. I suppose in some cases establishing a new normal can be a good thing, like a person who is an abuser undergoes an internal change and healing goes on to become a loving caring person who stops abusing and starts serving would be an example of a good “New Normal”. Unfortunately, it seems that those who use the term “New Normal” are using it to make up for questionable behavior. There seems to be more interested in controlling you and making you actually submit to their definition of “New Normal” whether you want their “New Normal” or not! For me personally, there are certain areas of my life where moving to a “New Normal” is good, however in other areas of my life I’ll stick with my Traditional Normal. By the way, did you realize that the Traditional Normal is considered controversial by some who what you to live by their “New Normal”. Hmmm…. Share Your Trades: Many of you have sent me notes regarding the success you are having with the Active Trend Trading System. Please send you stories to me at dww@activetrendtrading.com so I can share them with our fellow traders. Plus, if you are considering a trade that appears to be at a proper Action Point, send that alert also! Thanks!